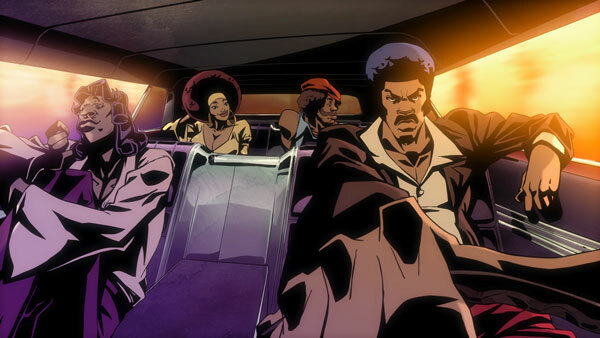 Watch Cartoon Network’s ‘Black Dynamite’ Pilot Episode!!! Based on the instant cult classic film, Cartoon Network is unleashing all that is BADASS of ‘Black Dynamite’ in the animated form. I have been looking forward to this show ever since it was announced. Cartoon Network was generous enough to release the pilot episode for free for everyone to watch before it airs. If you haven’t seen ‘Black Dynamite’ then you are in for one hell of a treat. CLICK HERE TO WATCH THE ENTIRE PILOT OF BLACK DYNAMITE!!! Buy the original live action movie below. This entry was posted on Wednesday, August 10th, 2011 at 4:19 pm	and is filed under Film, News. You can follow any responses to this entry through the RSS 2.0 feed. You can skip to the end and leave a response. Pinging is currently not allowed. « Farewell George Lopez!!! TBS Cancels ‘Lopez Tonight’!! !